Cogentix Medical has an extensive history partnering with gynaecologists to provide treatments that bridge the gap between conservative and more invasive treatments. Macroplastique® bulking agent was introduced to the European market almost 25 years ago and set the standard for bulking agent performance. 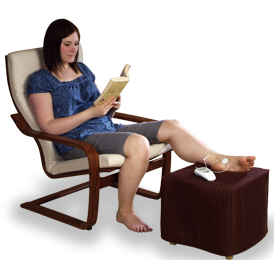 Beginning 2003, Cogentix Medical forged the way for percutaneous tibial nerve stimulation (PTNS) using the Urgent® PC system through robust clinical studies and product support. 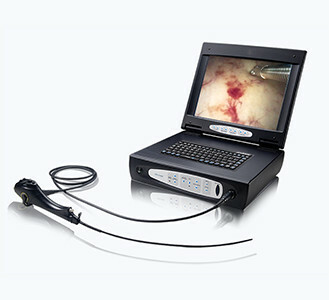 In 2007, Cogentix Medical revolutionized the efficiency of in-office/surgi-center hysteroscopy procedures with the introduction of the EndoSheath® protective barrier, a sterile, single-use product with an integrated working channel, for use with the company’s state-of-the-art endoscopes and peripherals. PrimeSightTM endoscopy systems combine state-of-the-art scope technology with the EndoSheath protective barrier to advance the safety and efficiency of quality patient care. PrimeSight systems provide gynecology practices a rapid, simplified reprocessing solution as an alternative to conventional disinfection options, resulting in improved staff productivity, increased scheduling flexibility as well as potential reductions in endoscope capital and maintenance costs. PrimeSight fiberoptic and video systems support a full range of diagnostic and therapeutic lower urinary tract visualization procedures. The use of the EndoSheath product is recognized by the AUA/SUNA as an alternative to conventional high level disinfection procedures in the Joint AUA/SUNA White Paper on the Reprocessing of Cystoscopes, as well as the 2015 ANSI/AAMI National Standards on Endoscope Reprocessing (Section 7). The EndoSheath product is available in multiple working channel sizes, allowing you to adapt the scope to fit the procedure.